RheumaBlog | Same dragon, different day. My hands were giving me some guff recently (as they do). I was wearing my favorite compression gloves already, I’d applied over-the-counter lidocaine cream, and I’d swallowed a dose of acetaminophen (Tylenol). This was on top of the fistful of other prescription drugs I take, every day, morning, and night, to treat my RD. But none of them were making a dent in my hand-and-wrist pain. I have a prescription for an opioid pain reliever, but taking it is always my last choice, after everything else I try fails. So, I left that little white pill in its bottle while I considered my other options. If you’re reading this, you probably cope with the frequent joint pain caused by rheumatoid disease (arthritis), too. And if you’re like me, you go through all kinds of gyrations before finally succumbing to swallowing an opioid. But on this recent day, I wasn’t ready yet to take the strong stuff. My hands hurt—a lot—but they hadn’t hit pain pill level yet. I wanted to be “good.” I wanted to use “alternative methods.’ After all, our government and our doctors tell us earnestly that these are, by far, much better ways to treat our intractable chronic pain. I went into the bathroom and ran the sink full of the hottest water I could bear. I submerged my hands, past my wrists, halfway up to my elbows, sighing as the heat suffused my skin and warmed them down to the aching bones. I closed my eyes. Mmmm. Of course, standing at the sink halfway up to my elbows in hot water gets old within a minute or two. It’s b-o-r-i-n-g, right? And, because I wasn’t moving, the balls of my feet started to ache. Then my ankles joined the chorus, with my Achilles tendons singing soprano. Unbelievable! Well, I pulled my hands out of the soothing, hot water, dried them off, and drained the sink. Now what? I paced for a while, gingerly, before flopping into the recliner with my Kindle. Maybe, I thought, I can lose myself in a good book and forget—at least for a while—that my hands hurt. “Reading is a wonderful distraction from pain! Yes! You know it is, and you can do this! It will work!” my Always Optimistic Cognitive Behavior Therapy Self said, trying not to be snarky. So, I opened a recent purchase: a new book about Robert Kennedy. He was assassinated in 1968, not long after he started his campaign for President. I was 12. I remember the news on television, the horror and sadness in the journalists’ faces and voices, and the somber hush in our living room. Another great man, gone. Anyway. Time for a trip down Memory Lane—a perfect foil for pain. And so it was, until it came up on time to make dinner. Now, I love to cook, but the fun goes right out of it when it hurts to prep the meal. Forget chopping. Forget lifting heavy pots. Fuggedaboudit. I hate to admit it, but I gave up, then. I went back to my room and took a pill. As I did, though, I remembered my old paraffin bath. Now there’s a great, if temporary, way to soothe away joint pain! I’d put it away last year, during the hottest part of the summer, unable to bring myself to immerse my hands in hot wax when the patio plants were frying and the asphalt was melting in the sun. But now it was damp and cool outside, winter’s equivalent around here. That deep, penetrating heat on my hands and wrists would feel heavenly! But where did I stash my paraffin bath? I looked everywhere I could think of, but I couldn’t find it, not in cupboards, in closets, or under the bed. It was nowhere. By then, though, the pill was kicking in. I’d like to note here, just in case anyone’s feeling all judgy and calling me an addict: there is no high. Taking an opioid pain reliever makes me feel just the same as taking OTC acetaminophen–except between a half an hour and 45 minutes after taking it my nasty joint pain fades away into the background. Oh, it’s still there. I’m aware of it. But it doesn’t live in the front of my mind anymore, which means I can get on with living my life, minus moment-to-moment pain. I can cook a meal, do chores, do most things. I found my paraffin bath today. I’d tucked it into the compartment inside a footstool, which seemed like a perfectly good, out-of-the-way place for it at the time. Now it’s back on my desk, the wax is slowly melting, and I’m looking forward to dipping my hands into it later, again and again, until I have thick wax gloves of warmth on them. It will help soothe today’s wrist and knuckle pain. I also found my old book of Tao sayings, perfect for peaceful meditation as I wait for the paraffin on my hands to cool. Meditation is helpful in coping with pain, too. Doesn’t have to be all woo-woo, just a few minutes of quiet, like temporarily taking a gentle step back, out of the rushing world. I always end a little stronger, a little more hopeful, and a little more optimistic, even if I still hurt. Which I do, often. I have RD. It’s incurable. That’s just how it is. And this is my RD toolbox. What’s in yours? One of the things that pharmacy benefit managers (PBMs) do is prohibit pharmacists from telling patients when they could save money by paying cash rather than using their insurance plan. In fact, according to a recent NBC Nightly News segment, pharmacists can be fined thousands of dollars for telling patients they can save money. According to the New York Times (as reported by the Dallas Morning News here) much of the difference between the lower “cash” price and the higher “insurance” price goes directly into the pockets of the PBMs. A smart, serious essay on the continuing “opioid crisis” and its terrible effects on long-term pain patients, starting with how it affects the writer. But Charis doesn’t leave us without solutions. She’s spelled a heaping handful of them, all of which require simple, level-headed, and compassionate action from the medical and insurance industries, and common-sense action from our government. Well worth a read–and a share with others, if you can. I’m a winter-person. I’ve always loved chilly weather and wild, rainy storms. Even after my rheumatoid arthritis (RA) diagnosis 30 years ago, when I lived in cold, dark, wet Northern Germany, I loved the winter weather. My joints didn’t care whether it was sunny or sleeting – they flared either way. These days, I live in Northern California and I still have RA. Winters are short here, but now, when the barometer changes abruptly and the sweet, much-needed rain falls, my joints hurt more than usual. I love living in Northern California anyway. … and falls. It feels like it will never end. When the soul-rain comes, I struggle more with my RA, resenting each joint twinge or throb, each bout of no-reason-for-it fatigue and malaise. My old, die-hard optimism fades as my mood plummets. Why me? I wonder. Why did I get this stupid disease? What did I do to deserve this? And finally, how long will this last? Can I live with this forever? It’s a fact: coping with an invisible disease like RA ain’t for sissies. It’s hard. It forces us to live with its often-invisible symptoms nearly every day of our lives, whether we like it or not. We might have stiff, aching joints, and feel fatigued, exhausted, or ill, but we still somehow get up each morning and go off to work or proceed to whatever we need to do each day. RA doesn’t pay the rent, buy the groceries, or keep the house tidy. That’s up to us no matter how rotten we feel. And because we may not be comfortable talking about how we feel to our employers or to others, we often bear our frequent pain alone, in stoic silence, and without their knowledge or support. So really, it’s no surprise when the soul-rain drenches us. We can’t control it any more than we can stormy weather. But like the weather, soul-rain storms always clear up, too. For me, sometimes it’s in a matter of hours, but other times it can take days or even weeks. Eventually, though, the storm passes, even if the cause—my RA—doesn’t, I just tell myself tomorrow will be better. If it’s not, then maybe the next tomorrow will be, or the next and so on. … Distract yourself. When we hurt, it’s easy to fall into deep puddles of despair. The best way I’ve found to wallow out of them is to distract myself. There are lots of ways you can do this: read a good book; listen to your favorite music with your full attention; watch an absorbing movie or TV series; bake some cookies; fix something that needs fixing; spend time on a favorite hobby; or try a new one. Anything that takes your mind off your pain and discomfort will work! … Unclutter your head. The easiest way to do this that I’ve found is to allow myself to simply sit still and be present, right here, right now, and not lost, wandering and alone, in some frightening future, near or far. After all, there is only now. The past is over. The future is unknown and uncontrollable. So, for a minute, or five, or more if you can, first recognize your pain. Note carefully where it is and how it feels. Accept the fact of it. Then move your attention elsewhere: to your heartbeat, to your breathing, to how your hair feels as it grows. If your pain or some other thought or worry comes to mind, notice it, then gently push it back into the ether. Bring yourself back to the present. Focus on the air flowing over your skin. If your tongue is clamped to the roof of your mouth, relax it. Breathe. Be. The simple trick here is to put your mind at ease and notice the small gifts the world has to offer. Once you’ve mastered these small practices, repeat them whenever you get a chance, and you might notice a break in your mental storm clouds—and the glimmer of hope that comes with it. Again, this is something I found that works for me! … Reach out to others. In my decades-long journey with RA, one of the most important things I’ve learned is that hiding my soggy mood from my family and friends for more than a day or two just serves to double or even triple-down on my misery. Not only do I resent the pain and other symptoms my RA is doling out, but I resent that the people closest to me haven’t even noticed the raincloud that’s following me around. Now I’m really in the doldrums. Don’t they even care? Of course, they do. But they have their own problems, worries, and lives. Like it or not, none of us are telepathic, so it’s unfair for me to expect my family and friends to be tuned into me all the time. But how do I tell them how bad I feel? Won’t they think less of me? That I’m just being whiny? Here, again, the best way forward is the shortest way. “My RA is making me feel sorta low,” I say. “I get so frustrated and hopeless sometimes! I could really use a hug/a listening ear/a pep-talk/all of the above.” Talking it out means airing it out. People who don’t live with this disease 24/7 can have some surprisingly promising ideas on new ways to deal with it. Or, if nothing else, they might offer to keep you company as you take a walk, watch a movie, or prepare a meal. Another thing that can help? Listening to their problems in return. Everyone needs a sympathetic ear now and then and hearing you are not the only one with bad days helps. … And a couple more: If you’ll share this post with others in your life or online, it might help improve their general understanding of invisible illnesses—RA included—and about the importance of emotional self-care. And you can check out the Joint Decisions Facebook page at https://www.facebook.com/JointDecisionsRA for more information and resources about living with RA. Used alone or together, these tools work for me when my RA and my emotions combine into the soul-rain. I hope they’ll work for you as well. Finally, remember that your doctor can help, too. Talk to them about these things. There might be a new treatment for your RA you haven’t tried yet, or you can ask about other practices that might help lift your dark, dreary mood. Together with your doctor, you will find the best way out of the soul-rain and back into the sun. 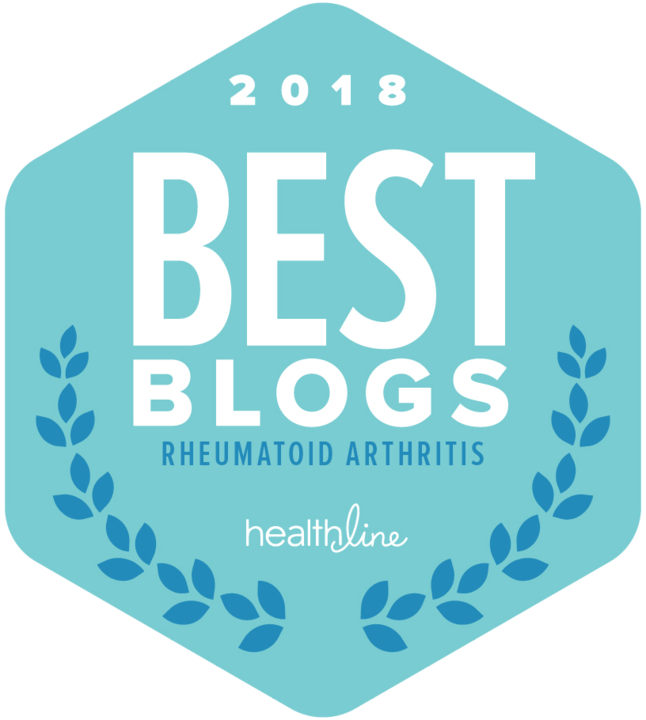 Note: This post was sponsored by Joint Decisions, an educational initiative developed by Janssen Biotech, Inc. that empowers people living with RA to take a more active role in the management of their disease and have more open and honest conversations with their doctors. Janssen compensated me for the time I spent collaborating on content for Joint Decisions, but all thoughts and opinions presented here are my own. All thoughts and opinions presented here are not the thoughts and opinions of Johnson & Johnson and should NOT be taken as medical advice. I’ve been seething since I read Prime Therapeutics’ October 17 news release asserting that patients are being prescribed biologics outside of American College of Rheumatology (ACR) guidelines. The referenced Prime Therapeutic reports assert that patients are being switched from conventional DMARDs to more-expensive biologic treatments before the DMARD therapy is given a proper chance to work (as much as 24 weeks – or almost six months). The report concludes this has caused an unwarranted higher total cost of care for RA patients. The conventional first-line DMARD is methotrexate (MTX) and the triple therapy of MTX/hydroxycholoquine/sulfasalazine was also discussed. The Global Healthy Living Foundation (www.ghlf.org) has sent a list of links below that can provide assistance to those needing medical assistance in the wake of Hurricane Harvey. In addition, this link (Take Action Now) will provide you with the phone numbers and talking points for the governors of Texas and Louisiana to ask them to request the U.S. Department of Health and Human Services (HHS) activate its Emergency Prescription Assistance Program (EPAP). This program will ensure that eligible patients can receive their desperately needed prescriptions at no cost from participating pharmacies. As a resident of Dallas, we were largely unaffected by the Hurricane, but we are now receiving thousands of evacuees as people are able to leave Houston for safer ground. These people need all the help we can give them. Ah. Well. That explains everything. Please read the rest at https://rheumatoidarthritis.net/living/weasel-words/ . I hope you don’t mind, but I’ve been creating more artwork over the last several weeks and like all artists, I want to show it off to someone other than my mother and my cats. Thanks for being there, for caring, and for your encouragement. Really. Discovering that you have rheumatoid disease is a life-changer. First, isn’t all this weird joint pain something that only old people have to deal with? Arthritis—sheesh! Break out the stinky deep-heat ointment and grab a cane! If you’re a young or young-ish person, say in your 20s or 30s (I was 31 at diagnosis), the news that you have arthritis is a real shock. Learning that it can distort your joints to the point of disability over time is frightening and sobering. 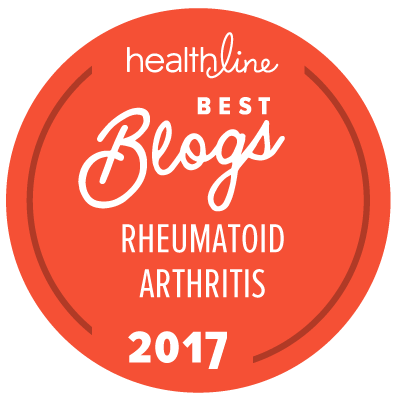 Discovering that this particular type of arthritis may adversely affect other parts of your body—your heart, lungs, or vascular system, for instance, is also scary. And that there is no cure for RD—yet!—is terrifying. RD treatments can be scary too? All that’s enough fright for anyone, right? But wait, there’s more. Now add to all of the above the fact that the drugs that treat RD sometimes cause unpleasant or even, well, nightmarish side-effects. Even … cancer. Whoa! Flood the moat! Pull up the drawbridge! Bar the doors! There’s no point in pretending that the powerful drugs we use to slow or stop the progression of this disease aren’t potentially dangerous. They are. But here’s the thing: the danger they may pose is very, very small. It varies from dose to dose, from person to person, and from case of RD to case of RD. My own rheumatologist, when I shrank from the long list of scary-sounding side-effects of the first drug he prescribed, reminded me that without treatment, I could expect the disease itself to be plenty scary enough. Untreated RD can attack not only the synovial joints, causing severe pain and disability, but the linings of the heart, lungs, and veins, causing terrible, disabling illness and even death. RD can affect the eyes, causing vision loss or blindness, as well. Taking the drug with its very small side-effect percentages seemed more worth the risk after I thought about it. And when I considered the fact that almost none of the side-effects were life-threatening, debilitating, or disabling, taking it seems like a no-brainer. So I did. It turned out that I did suffer some side-effects from the drug—the more common ones of fatigue and malaise. Since they didn’t fade away, we decided to discontinue the drug and try something else. It worked. I’ve experienced a few side-effects since then. For instance, I’ve slowly lost (and regrown), over a long period of time, nearly a whole head of hair. The new hair came back in curly, where it had once been straight, and brown, where it had once been blonde. Neither change bothers me. I’ve always wanted curly hair, after all. And I’m not sorry that no one ever mentions “blonde moments” around me anymore. Now, if I make a mistake, it’s just that. I like it. I’m not saying you shouldn’t be cautious and learn everything you can about the drug or drugs you take for your RD. You should. I take three traditional DMARDs, an injectable biologic, and an NSAID, myself, and believe me, I googled. And googled. And I think that it’s because of these drugs that I’m still able to type, to walk, and to live a relatively normal life. I don’t like to think about how things might be without them. Not being so afraid of the Big C is a relief. Knowing that my RD is under as much control as I can manage is a relief, too.